178 pieces of overstock D530S HP/Compaq small factor form and 41 pieces of D51S Compaq - All Desktop PCs with no OS, 40 gb, 512 ram, cd/dvd. 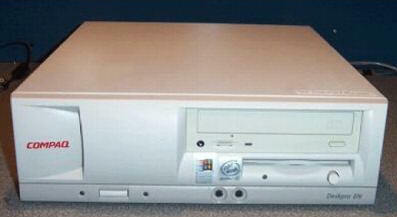 Powered by an Intel Pentium III 1 GHz processor and 128 MB of RAM, this Compaq Deskpro system is ready for work or play. 20GB and a CD-ROM drive, floppy disk drive, audio and video are all included. Just attach the monitor, mouse, keyboard and peripherals and you're good to go!